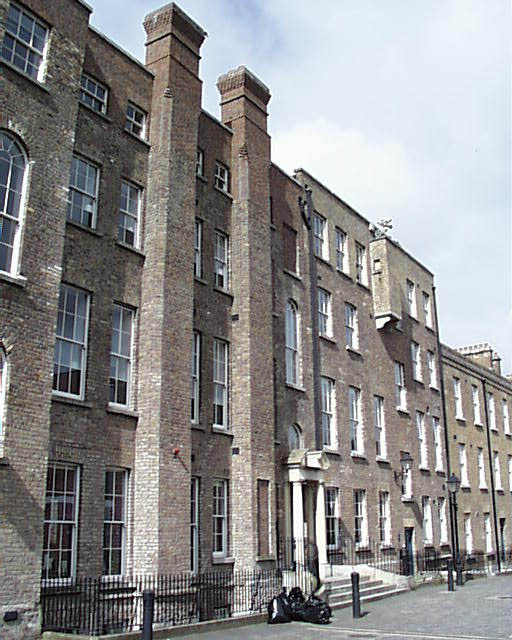 The offices on ship street were built in the 19th century as accommodation for Army engineers. Over the years they were used for a variety of purposes including training and offices. By the 1980s they were derelict due to abandonment and vandalism. Since that the Office of Public Works have renovated the buildings creating a streetscape inside the Castle compound and restored the facades to Great Ship Street. 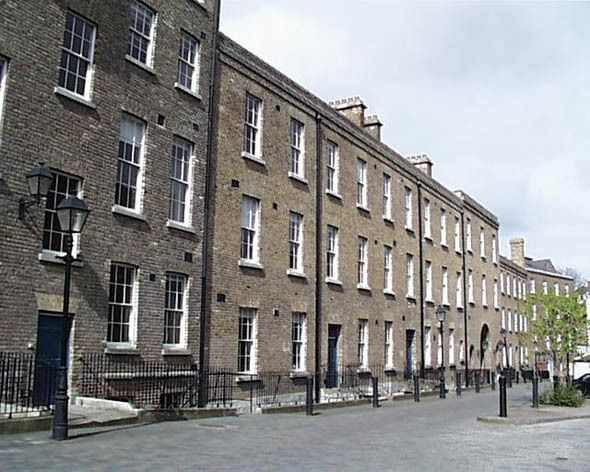 Virtually unknown to the casual visitor, the buildings are notable for their variety of doorways and window treatments and face across a paved open area to the new Chester Beatty Library of Oriental Art.